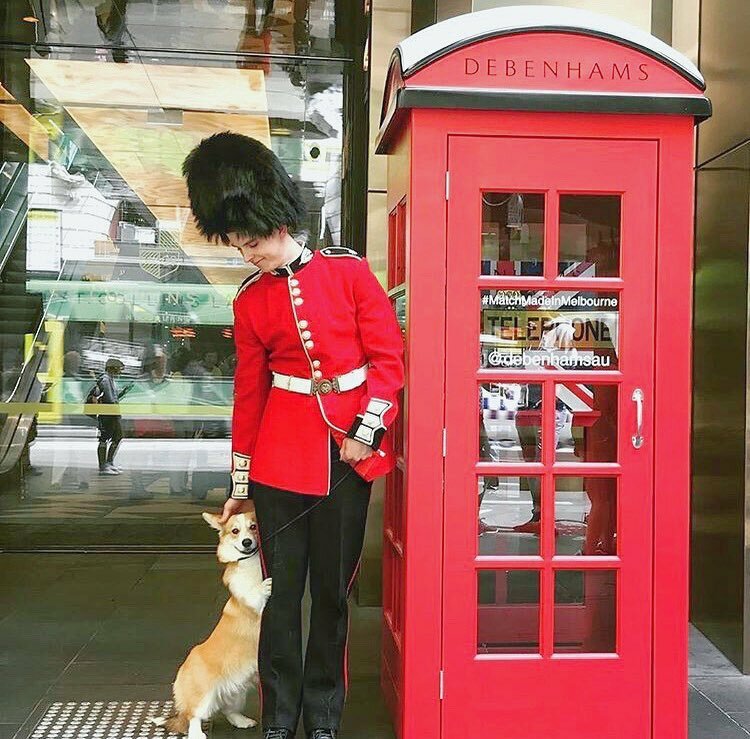 For the launch of the new Debenhams store in the Paris end of Collins Street, Melbourne, ID Collective wanted to bring London to the streets of Melbourne. 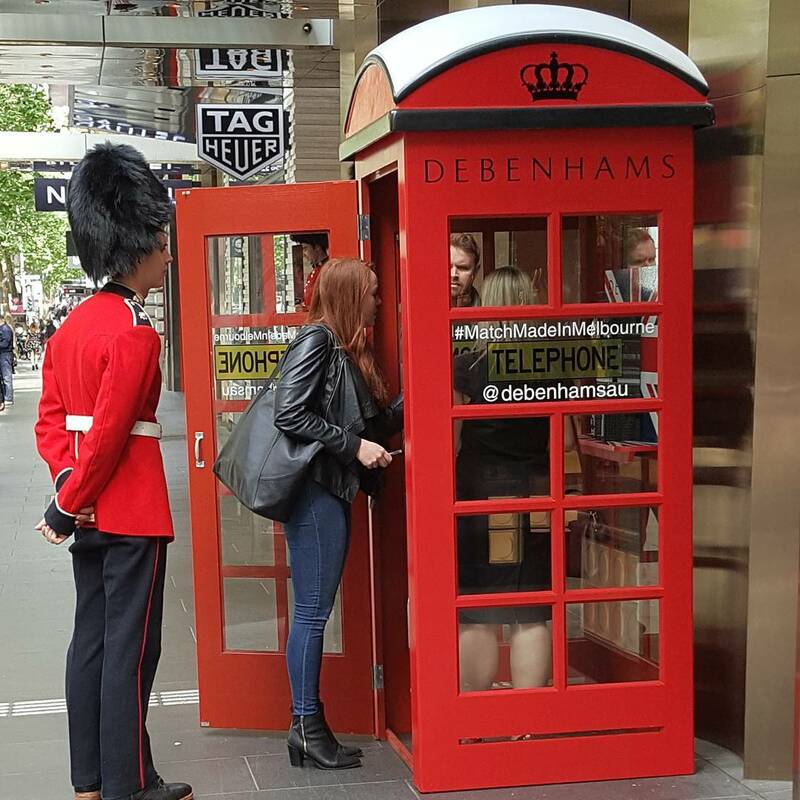 For this, they needed the iconic Big Red Phone Booth. Source and decorate an authentic Big Red Phone Booth, set up a functioning wireless phone system and make the whole booth easy to move between locations. 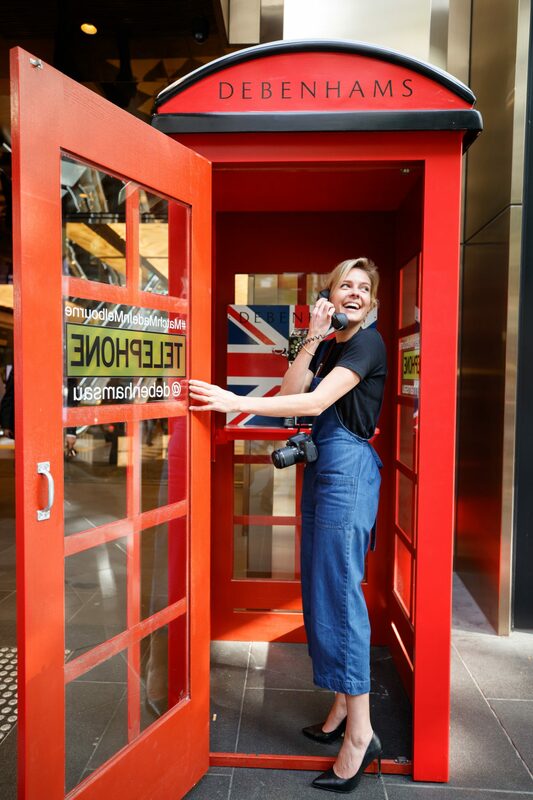 Because we love the challenge of executing a great idea, we started exploring the options right away. 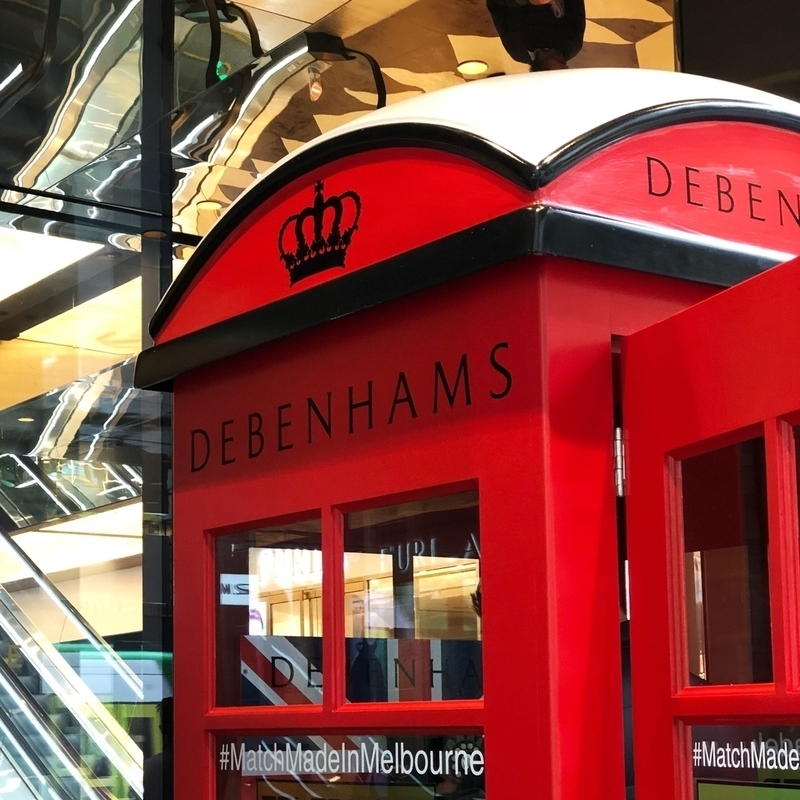 We found an old phone booth, we sanded it, painted it and added the necessary artwork to make it as authentic as possible (with the added Debenhams branding). We wired in a wireless phone system and got the phone booth in a truck ready to roll.